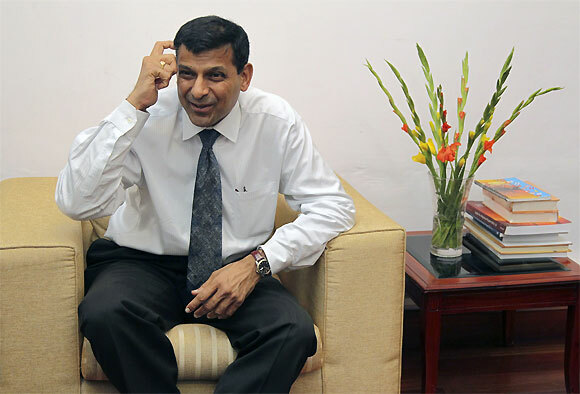 Top bankers on Wednesday exuded confidence that Raghuram Govind Rajan, who today took over as the 23rd Governor of the Reserve Bank, has the intellectual prowess to wade through the present difficulties facing the economy and wished him all success for the stint at Mint Road. "Dr Rajan has too much of intellectual reputation and we wish him all the best," chairman of country's largest lender State Bank of India Pratip Chaudhuri said. 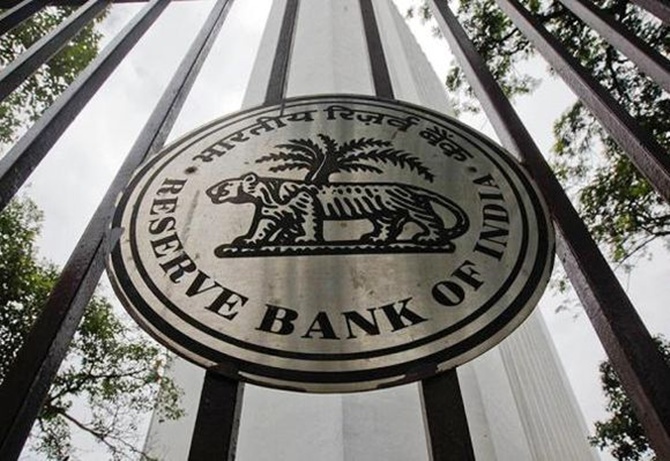 Chaudhuri was speaking after emerging from a luncheon hosted by senior-most deputy governor KC Chakrabarty at the RBI headquarters at Mint Road, which saw Duvuuri Subbarao demitting charge as Governor and Rajan taking over the reins. 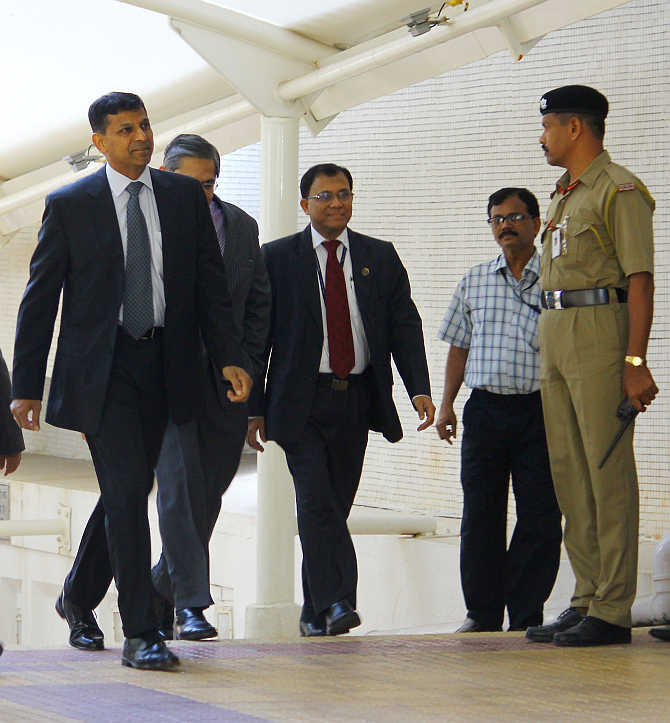 Image: Raghuram Rajan at the RBI headquarters in Mumbai. Alluding to Rajan's impeccable record--he famously predicted the 2008 financial crisis--Kotak Mahindra Bank vice-chairman Uday Kotak said, "It is good to have a governor with this background to lead the country." The 50-year-old Rajan, who is the second youngest governor after CD Deshmukh, who moves to Mumbai after a year-long stint as the chief economic advisor in the Ministry of Finance, was a professor of economics at the University of Chicago's Booth School of Business. Bank of Baroda chairman and managing director SS Mundhra said Rajan is experienced, qualified and competent to lead the economic thinking in the country during these trying times. It can be noted that Rajan assumes charge amidst extremely difficult pressures on the external front which are resulting in the rupee getting battered to become one of the worst hit currencies globally.